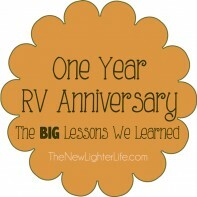 One year ago, we sold nearly everything that we owned and moved our family of 6 into a 300 square foot RV. What a trip! In celebration this monumentous event, I’m writing a letter to One Year Younger Julie. 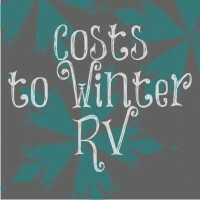 First of all, let’s talk about winter RVing. 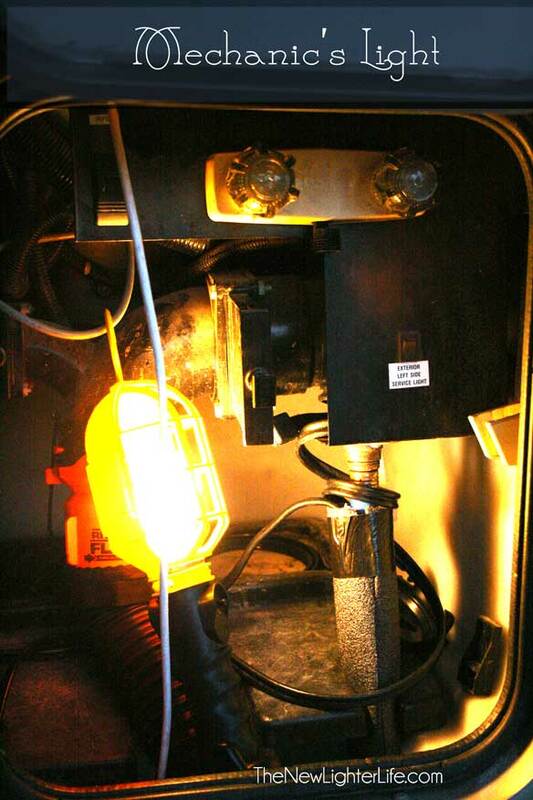 Since you’re crazy and will full time RV this winter in South Dakota, go ahead and make your own heat hose but make sure you buy a shop light IN NOVEMBER to help keep your waterline from freezing. Buy some slippers and space heaters. Dress warm while in the camper. It’ll be chilly. Winters in an RV are not for the faint at heart, toughen up. 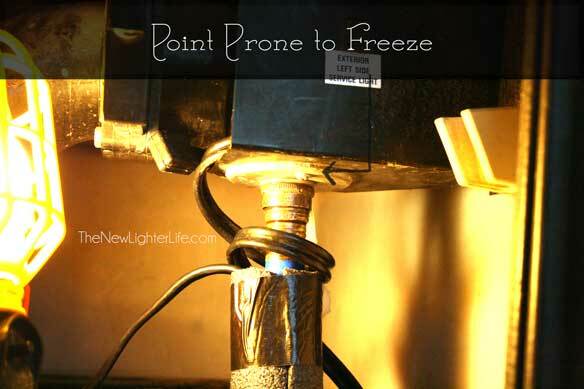 Learn to roll with the punches and EXPECT your water to freeze multiple times. Oh and when you go see family for Christmas, winterize the camper. You should never leave your camper during sub-zero temps for more than a day silly girl! 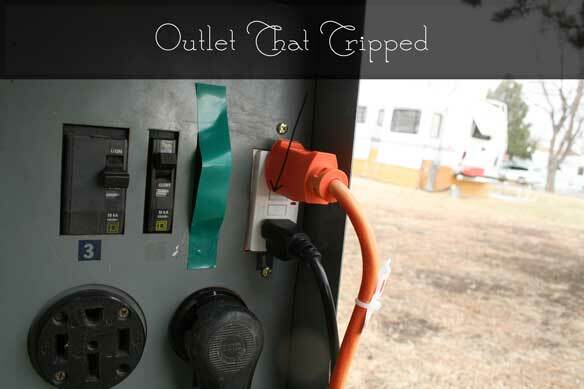 As far as skirting the RV goes, use foam insulation board instead of the more expensive vinyl. 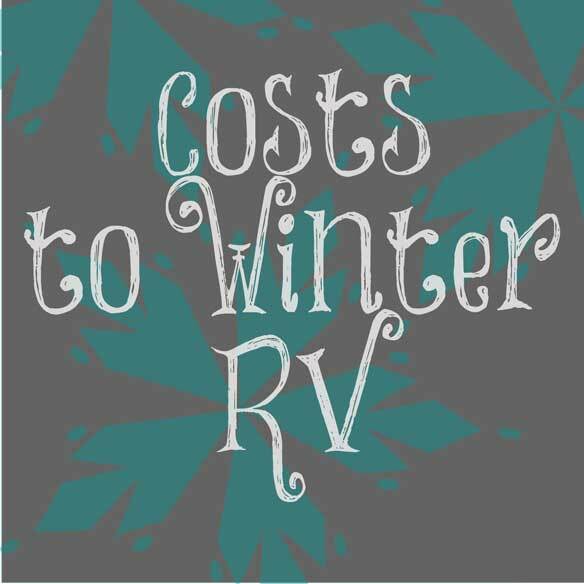 It is cheaper and you won’t do another northern winter in the RV to justify the added cost or hassle. 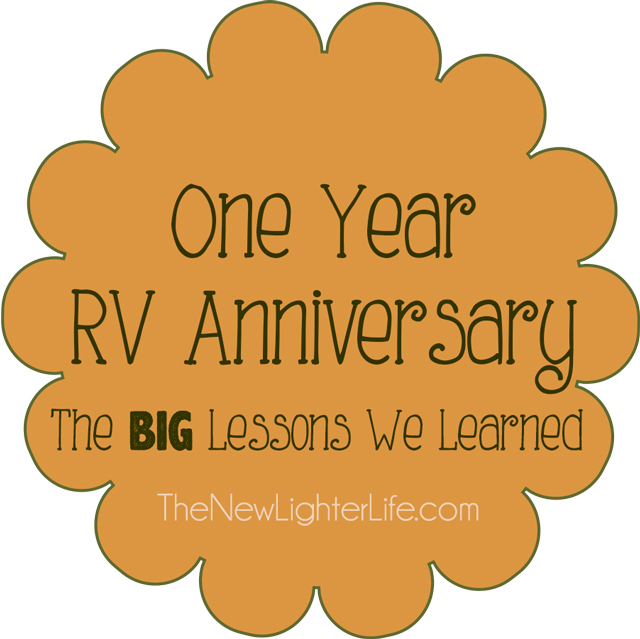 I know there are several reasons why you want to move into an RV. But one big reason you’ve expressed is because you want to declutter your life. You want less stuff to deal with and you want to simplify. 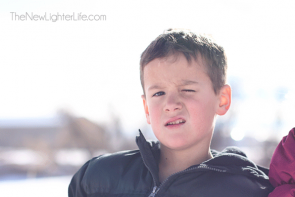 But hear me out…I’m just a little bit older and wiser than you are right now. Since you weren’t finding ways to simplify and declutter your life before you moved into the RV, you’re just going to be bogged down while you are IN the RV. In some ways you’re going to have more free time on your hands without having to take care of a yard or a large home. But in an RV there is still an outside patio to sweep, holding tanks to dump, propane to fill, laundry mat laundry to deal with, weekly grocery shopping, clutter to consistently purge out of your small space, water lines to thaw, and dishes to hand wash multiple times every day. What I’m trying to say, One Year Younger Julie, is there were things that took up parts of your day in your conventional home. Those duties will shift to different responsibilities as a Full Time RVer. You will have less stuff – yes, but simplified is often a state of mind rather than a type of residence. But most of all One Year Younger Julie, I just want to tell you to relax. You’re going to make mistakes this next year. Many days will disqualify you from earning The Mother of The Year Award. Purpose in your mind to draw closer to Jesus, enjoy your family, and be content. Since we are officially into Spring, I figured I’d post some thoughts about winter RVing and our issues with the waterline freezing. This past winter, we made it through some bitterly cold days and nights in the camper. I have to say, it was not all that bad. 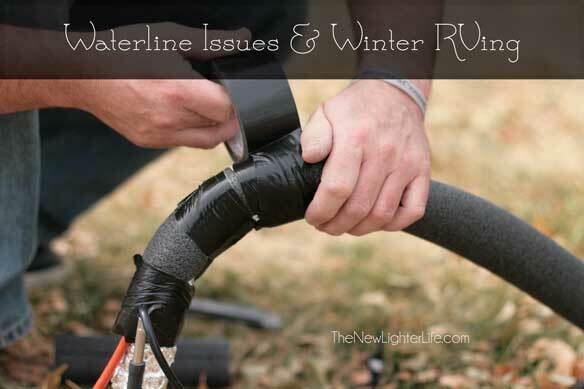 One thing we ran into multiple times was freezing waterlines. You know how we put out the heat hose and insulated the line? In theory, that works GREAT, just as long as the outlet on your breaker doesn’t trip. Yes, we had a couple of nights where the heat hose wasn’t even getting juice. Honestly, we can’t figure out why it tripped, but it did. Another night it got around zero and the line froze again. Not through the entire hose, just where the line attaches to the spigot. This was in the 2013 Forest River Sandpiper. Obviously it wouldn’t have mattered what RV it was. 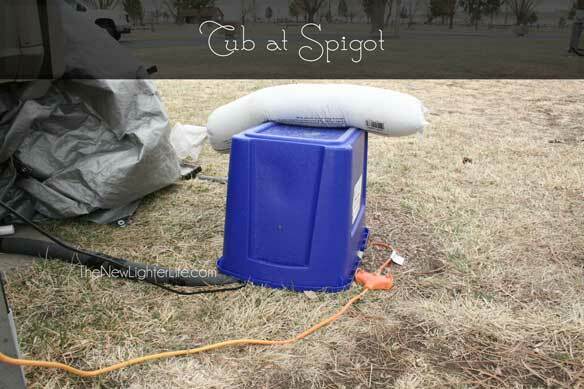 The spigot gets mighty cold and it freezes. We had our entire 5th wheel freeze over when we went on vacation over Christmas. If our tank had been filled we would have likely had to replace it because it probably would have cracked. But when our line froze and we had no reserve water in the tank, we got thirsty. I’ll take thirsty any day of the week and twice on Sunday over replacing our water tank. We simply had to go get water while we waited for the line to thaw. 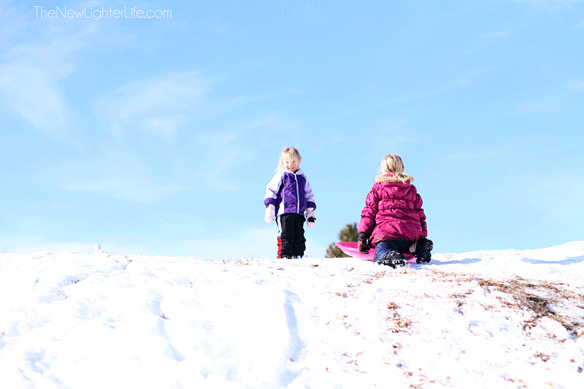 So now we’ve weathered the storm and we feel sorta like pioneers. This statement is likely laughable since we weathered the storm in a very comfy and heated RV. Regardless, we like to focus on perceived positives rather than reality. But all these waterline freezes were in the 5th Wheel. It really wasn’t so bad looking back. 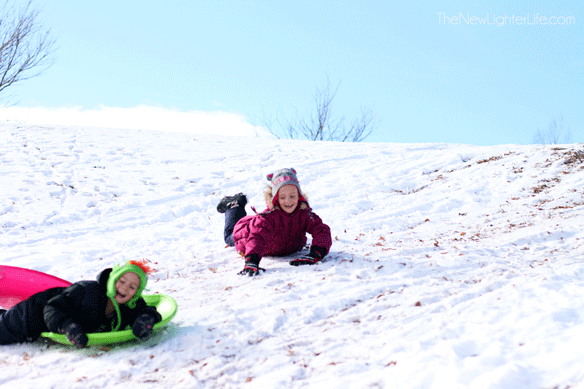 We had high hopes of no waterline freezes once we moved into the Winnie. 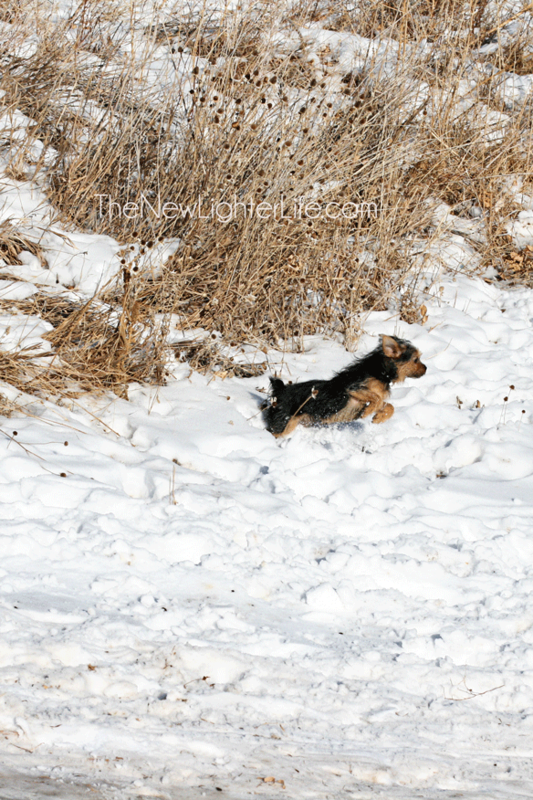 In a slightly insane way, I’m comforted in telling you that we also dealt with frozen water in the Winnie. We are seasoned vets at this water freezing deal. So the problem at our Winnie was due to the fact that there is a little piece of a pipe fitting that connects through the outdoor shower hookup. It is not insulated and we are certain it was the culprit. We tried wrapping the excess heat hose around that area, but it just couldn’t keep up to the freezing temps. We wised up and bought a shop light. $5 bought us a thawed waterline and peace of mind. No more problems since that $5 shop light. All this to say, keeping the water flowing is NOT completely impossible. You just have to be prepared to roll with the punches. It’s best to save your energy and sanity and not get all worked up or upset about the problems that come with the cold weather. Could we do another winter in the RV? Absolutely. Am I happy we don’t have to? Absolutely! 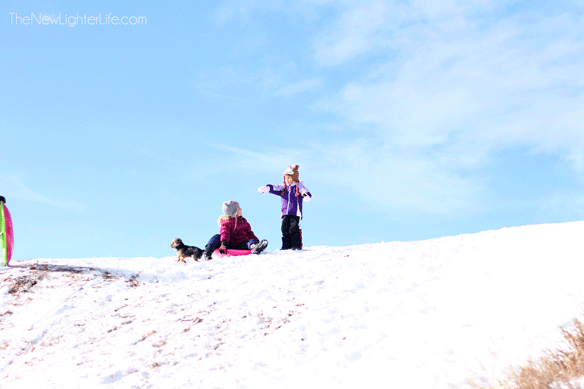 * We * love snow! We does not mean all of us. It completely and entirely excludes Mark. It’s our running joke since he detests it so much. 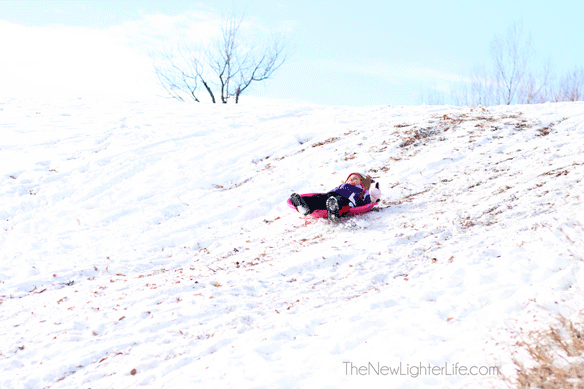 Out here at Hart Ranch, there are several good sledding hills. 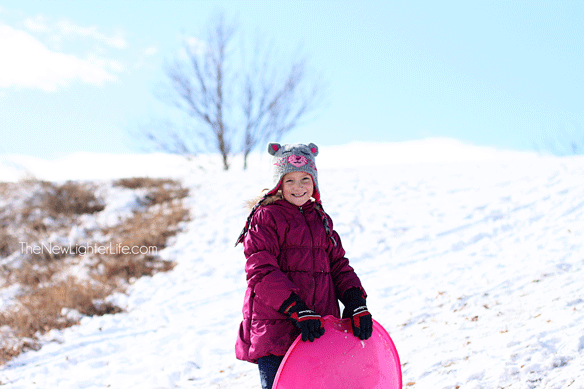 Here are a few photos from their adventure the other day. 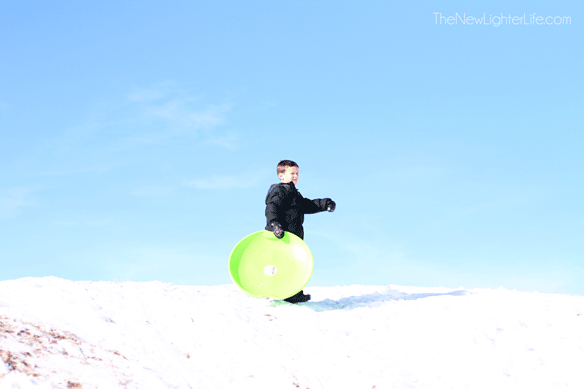 If I had a snowsuit for Zander, I would have put him on a sled, but I don’t so, I didn’t. Maybe that was a good thing as far as safety is concerned, but I have a sneaking suspicion that he would have had a blast! Even Pepper got in on it. 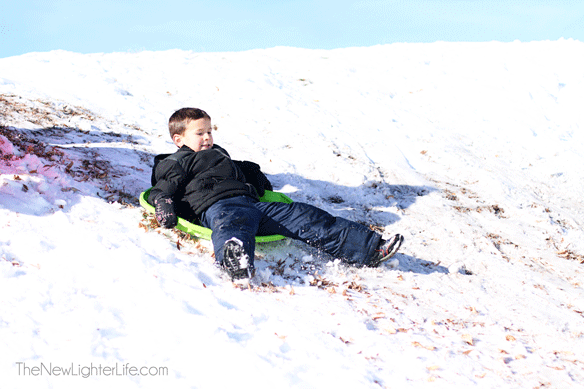 I have to say, he didn’t much enjoy being on the actual sled. But he ran around like a crazy dog and slept the rest of the day. 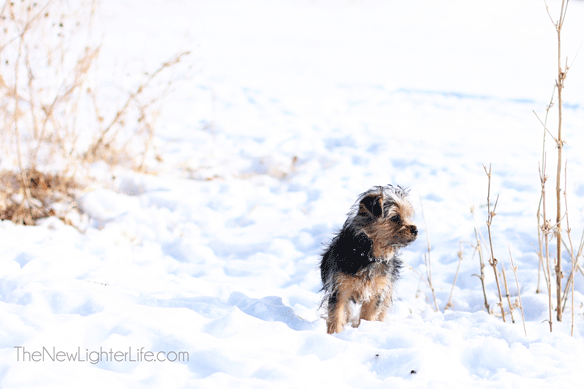 We just love that little dog! I think we finally got a handle on the humidity in our camper. I wrote about it here, but we have found that 2 things we implemented were most effective. So let me just cut to the chase. I hate our Eva-Dry dehumidifier. It had been running non-stop for the past 3 months and didn’t fill up one time. Not once. We tried moving it to another location. Another, smaller room. Nada. Sure there was a tiny bit of water it collected but as you can see above it’s not much and that is the most it ever got in there. So either it doesn’t work or it only pulls moisture out of the air when you are at a high percentage of humidity (maybe 60 or higher). 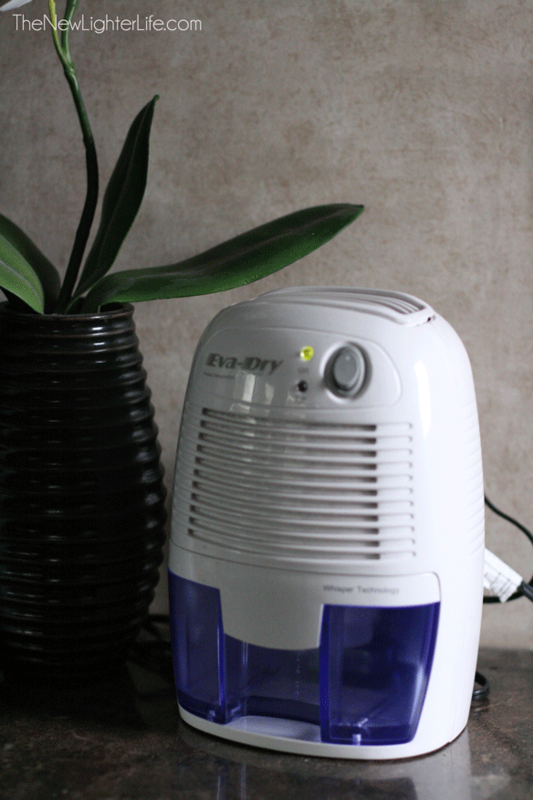 Since our Eva-Dry failed us, we purchased a much larger dehumidifier. 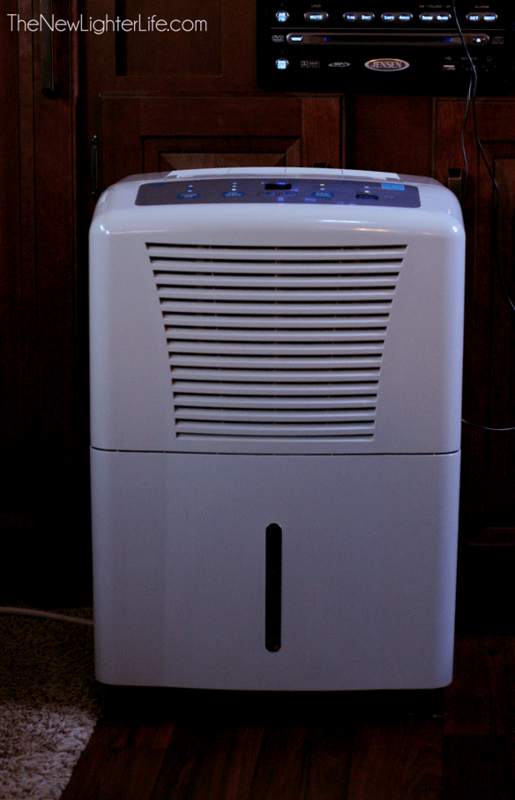 We have a GE 30 Pint Capacity Dehumidifier for about $160 and it’s working wonderfully. We set the humidity level low, at 35%, and it runs as needed. We’ve emptied it twice in the 3 weeks we’ve had it. 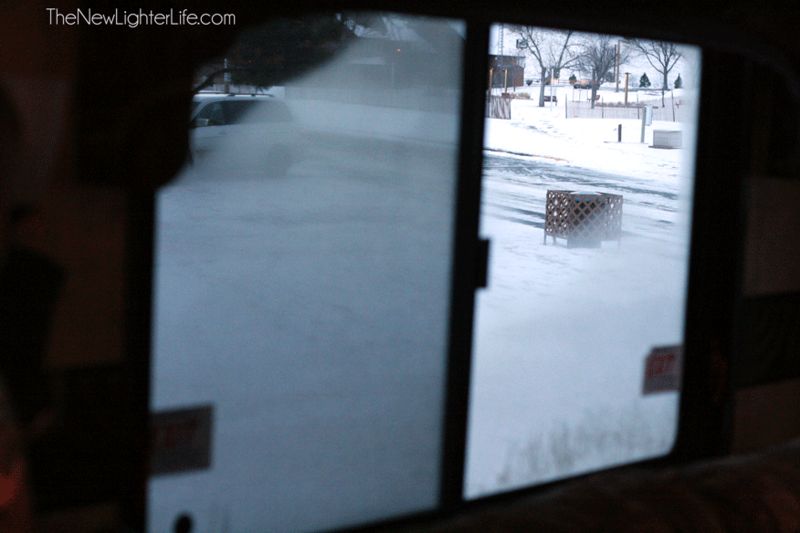 Sometimes the windows are more iced over but we open our blinds and they clear up within an hour. 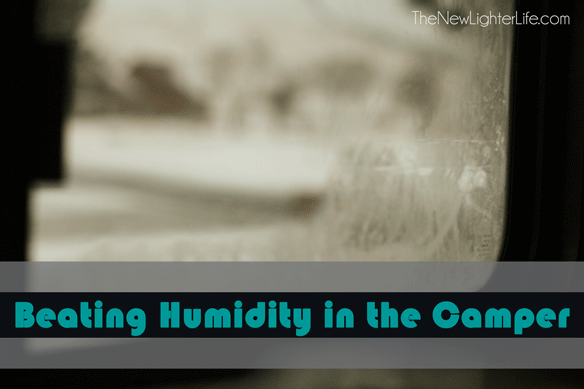 We wipe the excessive condensation off the windows as they thaw in the morning and we’re finding that the dehumidifier is keeping up with it throughout the day. Also, you just have to open the window when you’re cooking. There is not really a way around it. With these 2 things, it seems like we’re actually on top of the humidity. Note: We chose to not plastic the windows just yet. To not have the ability to wipe away any water was the biggest deciding factor. We make all the mistakes so you don’t have to. We’ve not made the best decisions in this whole RVing adventure. Meh. I chose to chalk most of it up to the fact that we are inexperienced. There are probably other reasons, (lack of research, laziness, impulsiveness). I just chose to not publicize them. Regardless, we sure do get to share a whole chunk of information because we screw up. Frequently. We had planned on sticking around the local area for Christmas. 4 days before, we finally gave up our resolve and decided on a last minute trip up to North Dakota to see my side of the family. Preparations and packing for the trip was pretty standard. As far as the camper, we have a 24 gallon propane tank and it was fairly full. So we decided to set our thermostat to 60 degrees and keep everything heated rather than mess with winterizing. We planned to be gone 3 nights. A quick trip. Winterizing would have been overkill. Little did we know, we’d get below zero nights here. Remember how I talked about the Banana Belt? The weather gives you a false sense of how cold it can get because it fluctuates and is generally so mild. My family up in Canada North Dakota had -20 degree weather. Yes. That is a negative number. Below zero. It got COLD up there. And by golly gee, it got COLD here! It was actually below zero here in South Dakota. We arrived back at our camper the day after Christmas to find that our camper was frozen solid. Solid. Inside, the thermometer registered 17 degrees!!! Oh what’s the big deal you may be asking. Well we had water IN our pipes, intake filter, & faucet lines. Our black water had not been flushed clean and our grey water was frozen open. Our sewer line was plugged and frozen solid as well. You know what happens to water or liquids when they freeze. Uh huh. It took several hours to get the camper up to 50 degrees. No water and lots of uncertainty followed for the next day. Two days of thawing the underbelly with space heaters. 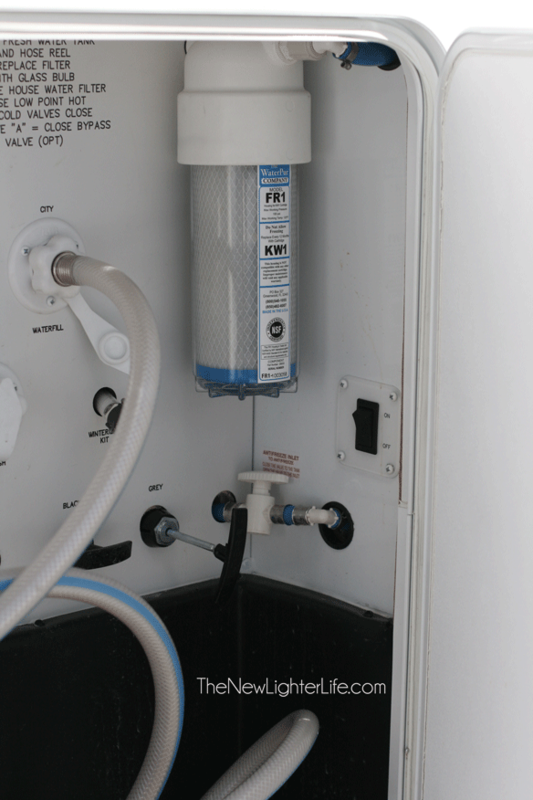 Replacing p-traps, faucets, sewer hose, and the water filter. Today, we’re counting our blessings. This “experience” cost us just over $200. But I’m so thankful that we didn’t fill our water tank (like we said we would). I’m also thrilled that we had our water heater running off electric or else we’d be looking to replace that too when the propane ran out. This whole deal could have cost us a whole lot more! Also this caused us to figure out our camper. We now know that the underbelly is NOT insulated, at all. It is enclosed – yes. And our floor IS insulated. But the only thing between our underbelly and the pavement is a thin sheet of heavy duty plastic. 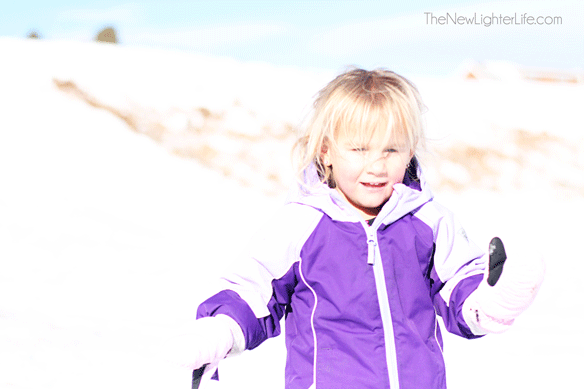 Oh and we’ve got ideas on how to improve on our insulation for the summer or even next winter. We also found out where our shower’s p-trap was. It was a complete mystery and we couldn’t find it. At one point we gave up and figured it must not exist. Mark ended up talking to the RV supplier we were buying all our replacements parts from. Come to find out that you have to remove the storage compartment wall. 3 screws removed the wood panel. P-trap….whaaa laa. Our main water supply has to pass through this fancy filter. Oh the amazing features of our spiffy camper. Well the filter company will not sell a private owner a replacement filter. You have to go through a Forest River dealer and wouldn’t you know, there is not one in the area. We searched all over online to find who could get us the filter. And fast. Ours was smashed from the expansion and looked like someone had used it for target practice. That supplier that Mark found locally, happened to have JUST started stocking the filter and housing. Music to our ears. So that is the latest and greatest. We have one more minor leak in the kitchen that we’re stumped about but we’re getting to be veterans. Our conclusion? We made some stupid mistakes. Friends could have checked on the camper for us to make sure the propane hadn’t run out. We could have very easily winterized. Or we could have stayed home. But all’s well that ends well. Once again, we’re revisiting the skirting. You’ll remember we were having some issues, but today’s post is a very positive one. I’ll admit, after I got the email back from EZ Snap Direct I was skeptical. The recommendations they made didn’t seem like they’d make THAT big of a difference. Still, we decided to do everything they suggested since we needed to figure it out and didn’t want to waste any more money. Additional Snaps. Mark attached the additional snaps we ordered to make sure they were spaced closer. We allowed them to cure for a few days (much longer than recommended by the manufacturer). 5th Wheel Enclosure. We removed this area of the skirting and ran some more vinyl to keep the main living area skirted. It’s been relatively warm up in that room, even on days when it was near zero. PVC Pipe Clamp System. When we ordered our additional snaps, we also purchased PVC pipe clamps. Mark bought the PVC pipes from Menards and cut them in lengths to follow the skirting. 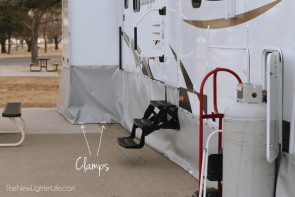 The skirting is attached to the PVC pipes by wrapping the bottom side of the vinyl around the pipe and using the clamps we purchased from EZ Snap Direct to clamp the vinyl to the pipe. You do have an option of using corner connectors to keep the skirting even more neat and tidy, but we have not done that as of this posting. Our workout weights and sand bags are laying just behind the PVC pipes on the inside. This setup is to cut down on any excessive flapping and to keep the skirting from moving too much. Since the changes were implimented, we’ve had some days that were pretty windy. The skirting not only stayed up, but was also much quieter in the camper. And YES, there wasn’t any flapping. It is a whole new world I’m telling you! Are we happy with the update? You bet we are! It’s so much better and fuss-free since using the PVC and pipe clamps, which I think was the most significant thing that we did. Next, we’ll let you know how you can save money on skirting and what we’d have done from the start if we could have a do over.